Welcome to the latest restoration of Classic Truck Shop. We have be part of the Internet superhighway since 1993. In all that time, Classic Truck Shop has been over a few bumps. We have dusted off the old girl and are working hard again to upgrade the website to meet current road conditions. We hope you notice the changes and that you visit often to see how the restoration is coming along. 22 years ago, Classic Truck Shop began its journey on the superhighway as a hobby site. Gaining readership as the first Classic Truck site on the web, its immense popularity lead the site to commercial viability in 1995. 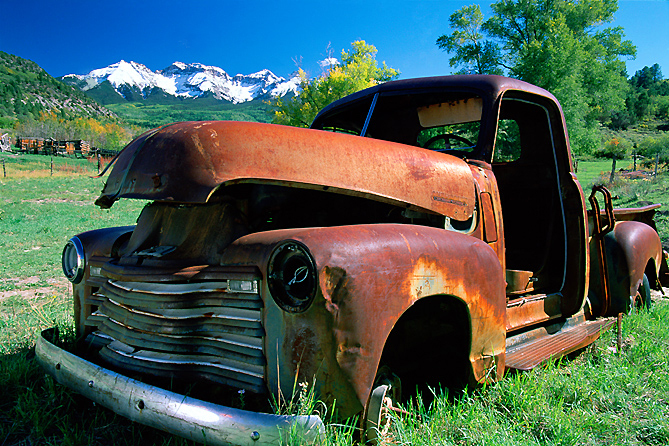 As time progressed, Classic Truck Shop partnered with the first and largest automotive website, ClassicCar.com. Together, Classic Truck Shop and Classic Car became the first and largest online communities for enthusiast. We were social long before anyone knew what that meant. Moving into the new millennium brought more change. By 2001, Classic Truck Shop had been through three complete rebuilds. The site carried on in the shadow of ClassicCar.com until its sale in 2010. By 2015, ClassicCar.com had met its end and shut down after 20 years online. Classic Truck Shop remains a stout figure in the history of the Internet, but that is not our goal. Our goal is to connect truck hobbyist and enthusiast alike. As we move into the future we strive to meet the new challenges presented by the new media and help our readers learn more about their vehicles.